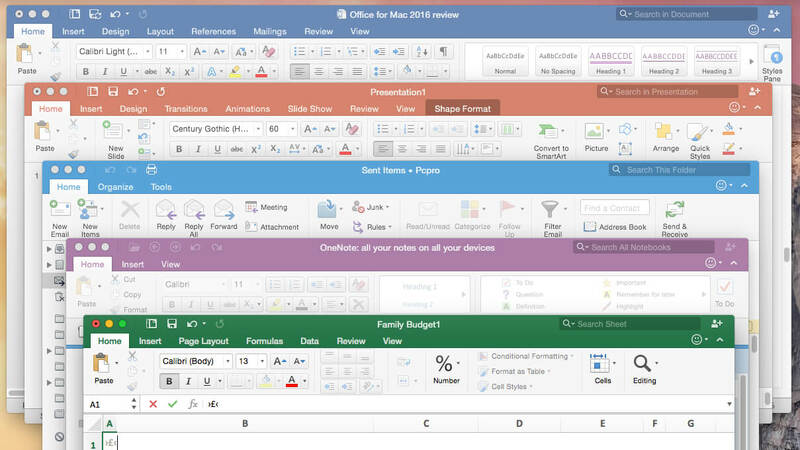 The new versions of Word, Excel, PowerPoint, Outlook, and OneNote provide the best of both worlds for Mac users – the familiar Office experience paired with the best of Mac. If you already use Office on a PC or iPad, you will find yourself right at home in Office 2016 for Mac. It works the way you expect, with the familiar ribbon interface and powerful task panes. Mac users will appreciate the modernized Office experience and the integration of Mac capabilities like Full Screen view and Multi-TouchTM gestures. With full Retina display support, your Office documents look sharper and more vibrant than ever. Office 2016 is a version of the Office productivity suite (Word, Excel, PowerPoint, etc), typically accessed via the desktop. Office 365 is a cloud-based subscription to a suite of programs including Office 2016. This means you have a few options for purchasing Office 2016: a stand-alone product or as part of an Office 365 subscription.